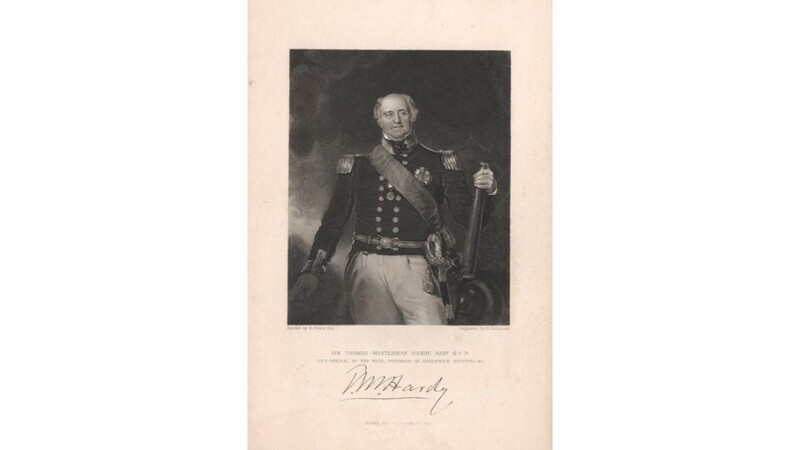 Vice-Admiral Sir Thomas Masterman Hardy, 1st Baronet GCB (1769 - 1839) was a Royal Navy officer. 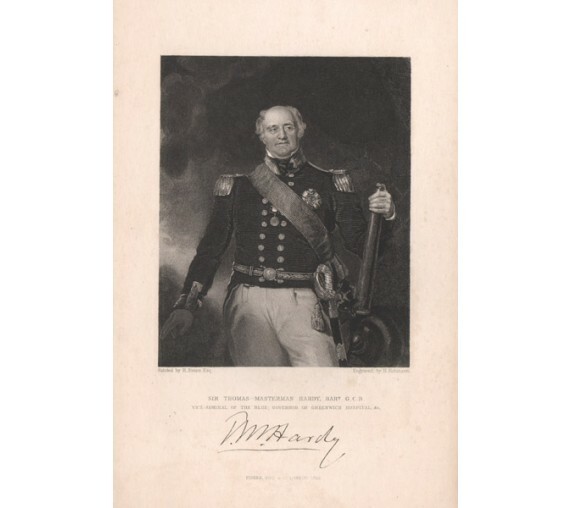 He took part in the Battle of Cape St Vincent in February 1797, the Battle of the Nile in August 1798 and the Battle of Copenhagen in April 1801 during the French Revolutionary Wars. 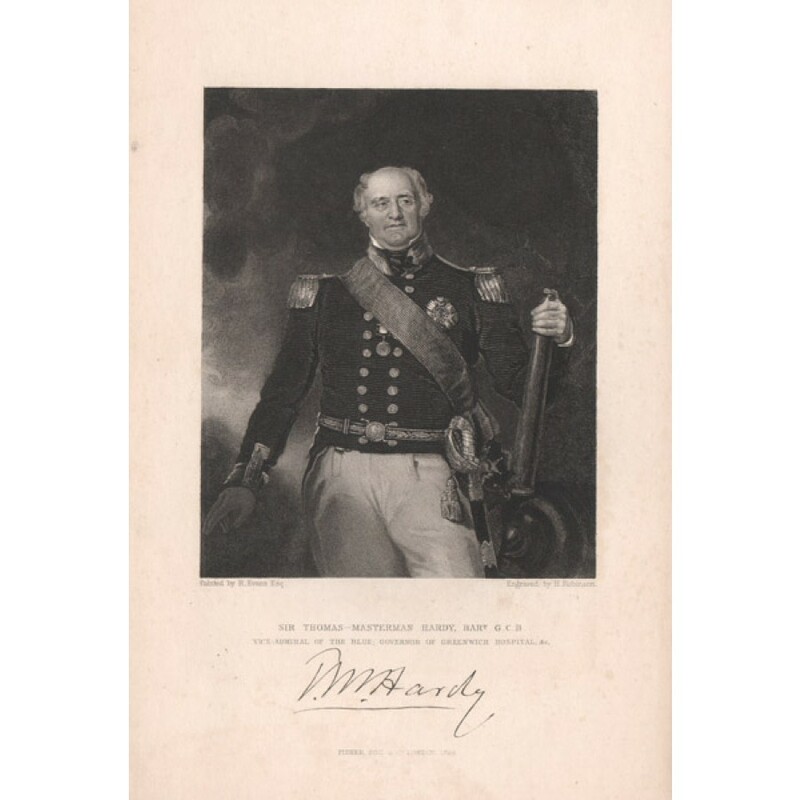 He served as flag captain to Admiral Lord Nelson, and commanded HMS Victory at the Battle of Trafalgar in October 1805 during the Napoleonic Wars. Nelson was shot as he paced the decks with Hardy, and as he lay dying, Nelson's famous remark of "Kiss me, Hardy" was directed at him. Light soiling in the margins.